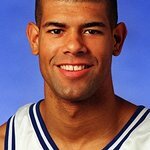 The Battier Take Charge Foundation, established by Shane Battier and his wife Heidi, is dedicated to providing resources for the development and education of underserved youth and teens. With initial focus in Miami, Houston and Detroit, the Battier’s charge is to encourage and inspire a new generation of potential leaders through educational opportunities and the cultivation of effective leadership. National partnerships include Houston’s KIPP Academy, Detroit’s Horizon Upward Bound and Miami’s Big Brothers Big Sisters. Google trends for "Battier Take Charge Foundation"
We don't have any videos related to Battier Take Charge Foundation.